Rustic Dark Blue Decorative Ship Wheel with Anchor 18"
Rustic Dark Blue Decorative Ship Wheel with Seagull and Lifering 18"
Rustic Dark Blue Decorative Ship Wheel with Starfish 18"
Rustic Dark Blue Decorative Ship Wheel with Seashell 18"
Rustic Dark Blue Decorative Ship Wheel with Palm Tree 18"
Rustic Dark Blue Decorative Ship Wheel with Sailboat 18"
Rustic Dark Blue Decorative Ship Wheel 18"
This Rustic Dark Blue Ship Wheel with Anchor 18" combines a vintage finish with a delightful anchor decoration to create a timeless piece of nautical wall art. 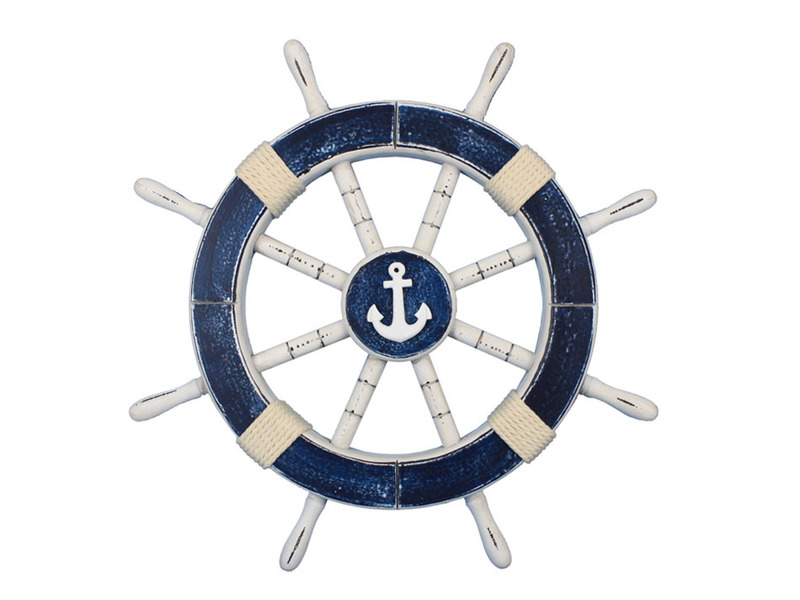 Using traditional clean nautical colors of blue and white, we have further accented the vintage ship wheel with rope. 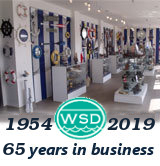 The overall dimensions of this ship steering wheel (including the spokes) are 18" Long x 18" High. The interior diameter of this boat steering wheel (excluding the spokes) is 9.25" Long x 9.25" High.